This post is dedicated to Phillip Glickman, who tried SO HARD to be gracious when asking about my koozie-covered-jar while I was washing dishes this morning. And who takes amazing photos and judges the suitability of a location for anything based solely on the merits of it’s lighting. And to his wife, and dog, all of whom made my morning so so so good. I’ve discovered that I can fit Koozies over glass jars. Cause, well, why not? That’s why. 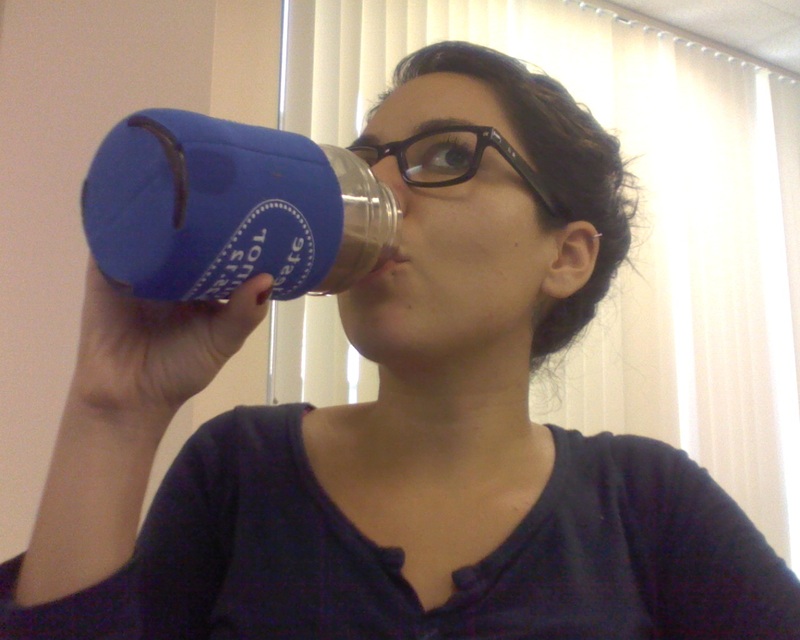 And also because I was drinking some water out of a Prego Sauce jar the other day but the water was too cold for my fingers, so I put a Koozie on it. Or maybe I just wanted it to stay cold. Okay FINE, clearly I don’t actually know why I did it, but I did. And I realized: I SUPER love drinking out of glass. So much better than a Nalgene. Why? I don’t know, because the wind blows and the eagle has landed, or some other such set of words that doesn’t mean what you think it means. 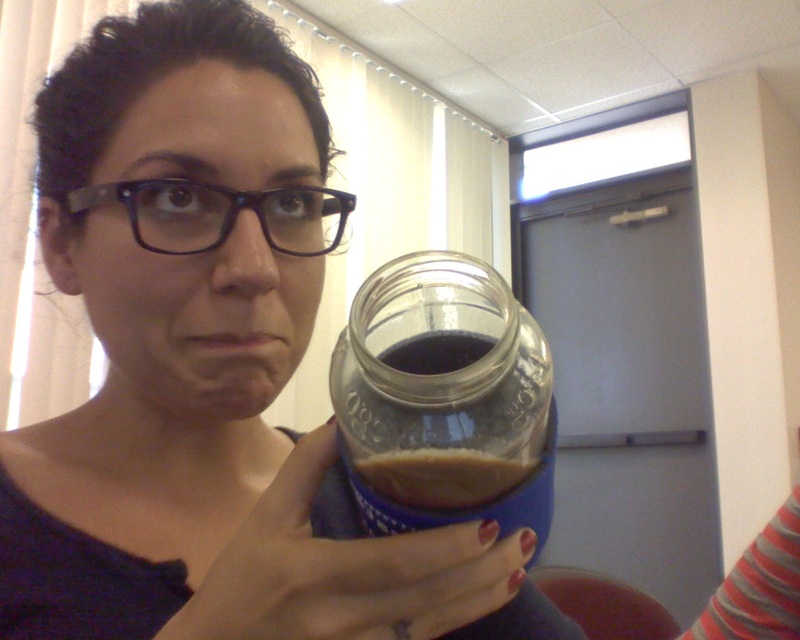 that face is because I was taking these in class while my Prof was handling an issue with some other students…. 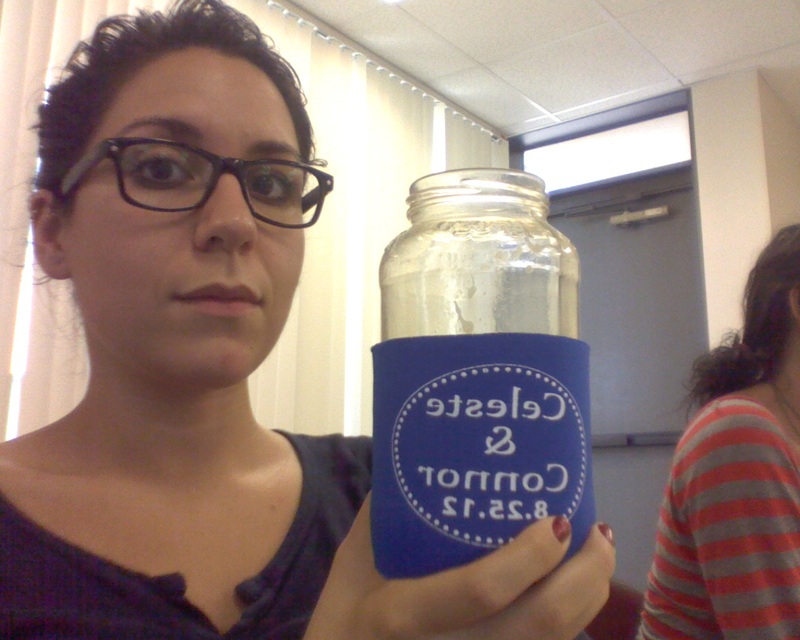 MORAL: Koozies fit over jars. Then you can put almond milk in them. And then put the lid on. And it stays sealed a lot better than a travel tumbler (this is proven by scientific research, meaning many many messes I’ve made) and when you get to school, you can microwave the milk (but be careful, because remember: it es-splodes if you’re not careful) to make some yummy hot chocolate (you also need a packet of chocolate for this) for like 45 cents instead of the $3.50 they charge you at the school cafe. 1) tell me that’s not class. You can’t. Oh but also make sure you get all the sticky off the jar pre-microwaving. Cause that stuff gets melty. AND make sure that you get all the original product smell out, because a whiff of marinara with a sip of coco is a discombobulating experience at best. I know. It’s a lot of work. But you can do it. Cause you’re classy. Well, at least I am.